Smartwatches are mobile accessories that help simplify the use of our smartphone. They are simple watches that have been programmed with enhanced functionalities and features aside telling time. They are usually connected to and can be used to access the smartphones too. Basically, they give you access to your mobile device in an easy and simple way. Just like every wrist watch, smart watches are usually worn on the wrist and are connected to mobile devices via Bluetooth or wireless connection. They perform several operations such as making calls, replying text messages, surfing the web, taking pictures and recording videos, and more. Smartwatches are the perfect companion and the best way to feel techie when accessing your smartphone that is out of sight. There are several brands and types of smart watches with each one having different specs and features. Choosing the right smartwatch can be a drag at times but there are key things to look out for such as operating system version of the watch - iOS, Android, and Windows. Apple as a brand is the manufacturer of the Apple watch that runs on the iOS, Android users also get the Android smartwatch from top brands like Tizen which is used by Samsung users and the Microsoft band which is used by Windows 10 OS users. There are some multi-platform smart watches that work across all these platforms. Also, you should check the display feature of the watch. There are basically three kinds of the display screen in most smart watches - OLED, AMOLED and LED with each having one advantage or more over the other. Also, water resistivity is an important factor to look out for. Other top features include fitness tracker and voice control. Below is the list of the top smartwatches for 2017. Discover an amazing collection of smartwatches online in Ghana at the lowest Prices. Explore top brands such as Apple, Samsung, Sony, Pebble, and more. Don’t miss out on any notification on your smartphone by shopping for smartwatches today. We have a huge selection of the top android smartphones, best smart watches like Apple and you can find listed on this page, the best list of smart watches for 2017. 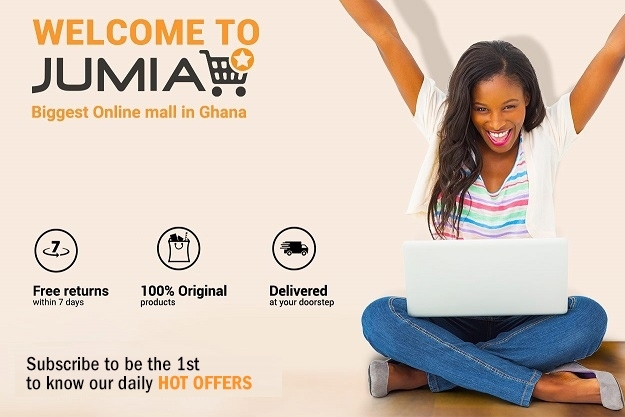 Shop now on Jumia for an interesting shopping experience.Order now and pay cash on delivery! Also, check out our collection of Headphones & Earphones.